Don’t rely on the claims of freeze dried food companies that their food uses only the highest quality ingredients. With a home freeze dryer, you choose what you put in, so you know exactly what you’re getting out. From the garden, grocery store, favorite recipes, or even your leftovers, you are in control of the food you save, whether it be long or short term food storage. You don’t have to settle for the small dices or shavings of fruit or meat that you find in store-bought, freeze dried products. Home freeze dried food maintains its same appearance, flavor, and nutritional content: it does not shrink or toughen. 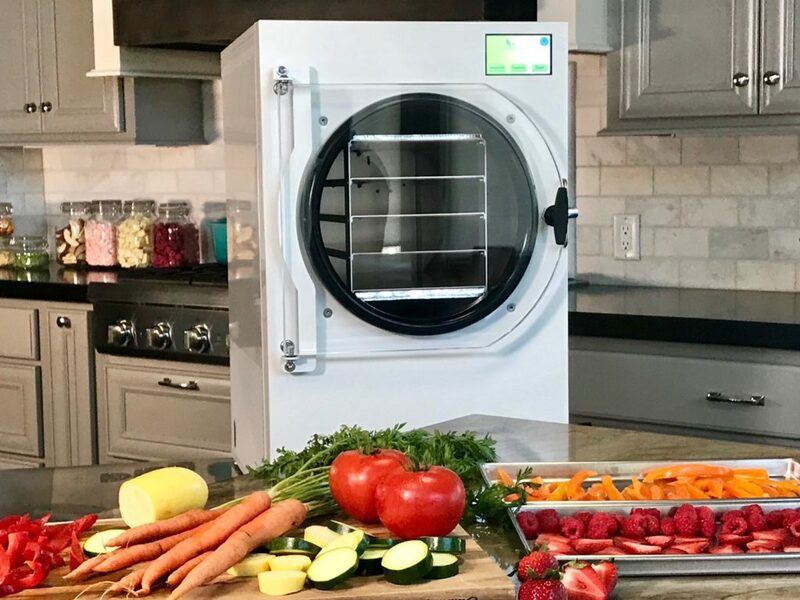 Home freeze drying preserves the taste in any type of food and will taste fresh, even up to 25 years later. Prepare it and preserve it how you want it. Due to cost of buying pre-packaged food storage, it can be stressful to buy enough food for your family’s needs. With a home freeze dryer, you can create enough food storage for your entire family at a fraction of the cost. In addition to the cost benefit, the quality of food from a home freeze dryer is far superior to pre-packed emergency food storage. With a Harvest Right freeze dryer, your food storage can include your favorite meals, meats, fruits, and desserts – all without the preservatives that are put into store-bought emergency meals. While pre-packaged food storage might seem convenient, they are lacking in nutrients and are packed with fillers and additives – often not even enough life-sustaining calories. It is easy to use, small in size, and has a large capacity. The smart technology allows you to place various types of food in the chamber, press start, and walk away. The freeze dryer calculates the necessary dry time and automatically monitors the freeze dry process to completion. This makes it easy to use, as well as convenient — saving you time, money, and energy. Is there a strong wheeled cart designed for the freeze dryer? Have no room on counter. Any sturdy cart of table will work great!